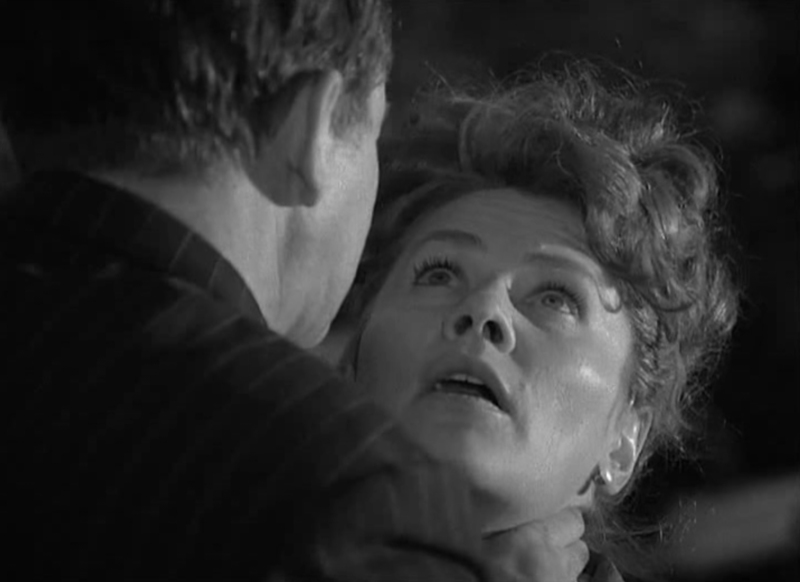 Like Fritz Lang’s M and Robert Siodmak’s The Devil Strikes at Night (Nachts, wenn der Teufel kam), Murder Case Zernik continues the fine tradition of German films about serial killers. This one adds a uniquely East German twist to the concept: The killer’s motives aren’t based on the usual psycho-sexual impulses but on capitalist greed. He kills for profit not lust. We know right from the start who the killer is, We are there when he strangles Katharina Zernik, then pours acid on her face to hamper identification. The question is whether the police will be able to bring him to justice and how. This is a police procedural with a difference. As the police investigate the murder, they find their progress on the case continually stymied by the authorities in the Allied sectors (the Americans in particular, not surprisingly). Access to information is blocked, and false information is published to make the East German police look bad. Neverless, criminal investigator Stügner and his upstanding if somewhat undernourished assistant, Horst Kramm, work hard to figure out who killed Katharina Zernik. The story takes place in 1948, which serves as an important plot point. The summer of 1948 was a tumultuous time in Berlin. On June 21st of that year, a new Deutschmark was introduced to the western sectors, followed a couple days later by the “B-mark”—a version of the currency specifically intended for use in the western sectors of Berlin. Not happy with this (particularly since it went directly against the agreement that the Allies and the Soviets had signed), the Berlin blockade began. Then in August, while West Berlin’s provisional governor, Louise Schroeder, was being treated for health problems, her stand-in, Christian Democrat Ferdinand Friedenburg, canned the chief of police, Paul Markgraf, because he was a member of East Germany’s SED party. From here on out there would be no cooperation between East and West Berlin. All of this plays into the movie’s plot as the killer bounces back forth across the border with impunity. The film uses historical footage to add to the drama. The film’s production got off to a rocky start when director Gerhard Klein fell ill and died. The film sat on a shelf while Mr. Klein’s assistant director Helmut Nitzschke wrangled for permission to finish the movie. Mr. Nitzschke eventually was granted permission and the film was completed two years later. Mr. Nitzschke is an able craftsman, and the finished film is a good, uniquely East German Krimi. It didn’t hurt that it was written by the always reliable Wolfgang Kohlhaase. It is reportedly based on the personal recollections of people who worked as police at the time—more, I suspect, as a jumping off point than any kind of dramatization of actual events. Director Helmut Nitzschke had some big shoes to fill when he took over from Gerhard Klein. Mr. Klein, after all, is the man who gave us such classics as A Berlin Romance, The Gleiwitz Case, and Berlin Schönhauser Corner. Gerhard Klein had a style like no other; both gritty and cinematic. Mr. Nitzschke had worked with Gerhard Klein before. This proved to be both a blessing and a curse. Mr. Nitzschke was assistant director on Klein’s Berlin um die Ecke (Berlin, Around the Corner), which was one of the films banned after the 11th Plenum. It would be a few years before Mr. Nitzschke had a chance to demonstrate his talent at DEFA again, starting in 1969 with Nebelnacht (Foggy Night), a Krimi based on Heiner Rank’s crime fiction of the same name. After Murder Case Zernik, Mr. Nitzschke made Das Licht auf dem Galgen (The Light on the Gallows), an historical drama based on the novel by Anna Seghers. In spite of good reviews and and an endorsement from Ms. Seghers, the film bombed at the the box office. After that, he wrote and directed a couple episodes of the popular cop show, Polizeiruf 110, but little else. Some of this may be due his highly active participation in the Christian church. More recently, he has been a strong advocate for Quan-Yin, a method of meditation created by Suma Ching Hai, the Vietnamese/Chinese spiritual leader who popped up in the news after her followers donated $600,000 to President Clinton’s legal defense fund during the Lewinski case. Mr. Nitzschke is married to Heidemarie Wenzel, star of The Dove on the Roof and The Legend of Paul and Paula. Playing the rookie detective Kramm is Alexander Lang. 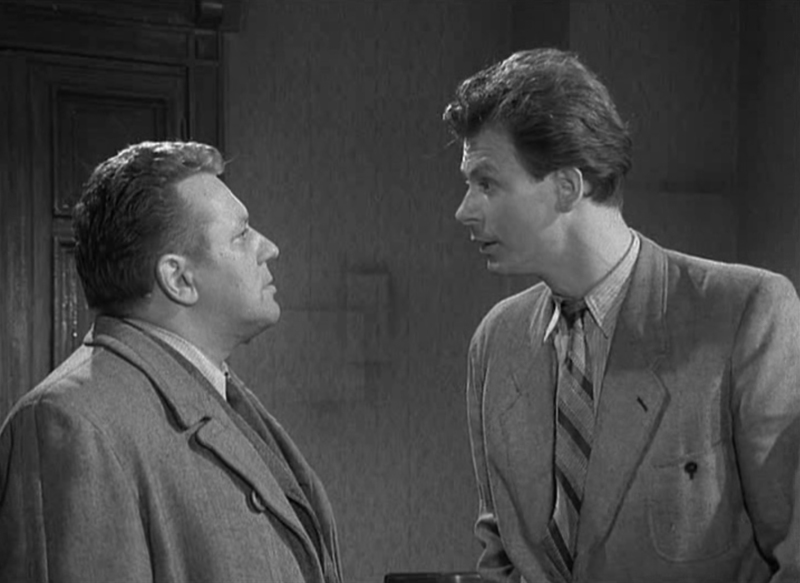 As with many other East German actors, Mr. Lang got his start in theater, working at first as a stagehand and eventually moving onto the boards. He is best known to western audiences as Ralph, Sunny’s cavalier love interest in Solo Sunny and as Latte in Frank Vogel’s Just Don’t Think I’ll Cry. During the eighties, he directed a couple of TV movies for DFF, but he primarily concentrated on directing plays as the Deutsches Theater in Berlin. After the Wende, Mr. Lang continued his career as a theater director, as well as an occasional appearance in front of the footlights, but he has appeared in no more films since the fall of the wall. The killer, Erwin Retzmann, is played by Gert Gütschow, whose work was usually restricted to secondary roles. To and fan of East German cinema, his face is immediately recognizable, having appeared in such films as Till Eulenspiegel, Jadup and Boel, and Bear Ye One Another’s Burdens. After the Wende, he appeared in a few films and TV movies, and a recurring role as Dr. Keller on the popular TV hospital drama In aller Freundschaft. He continues to appear on stage, and often works in radio and as a voice talent for dubbing. 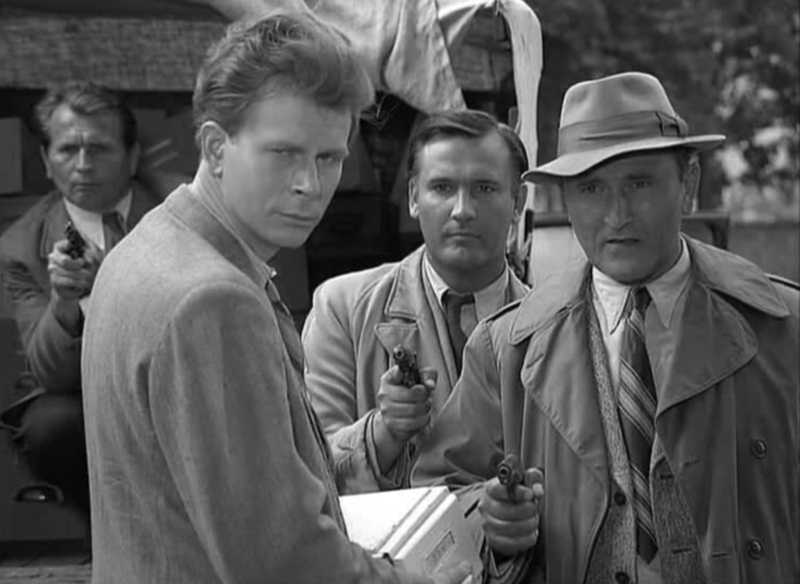 Kurt Böwe plays Inspector Stügner—a role he could do in his sleep. 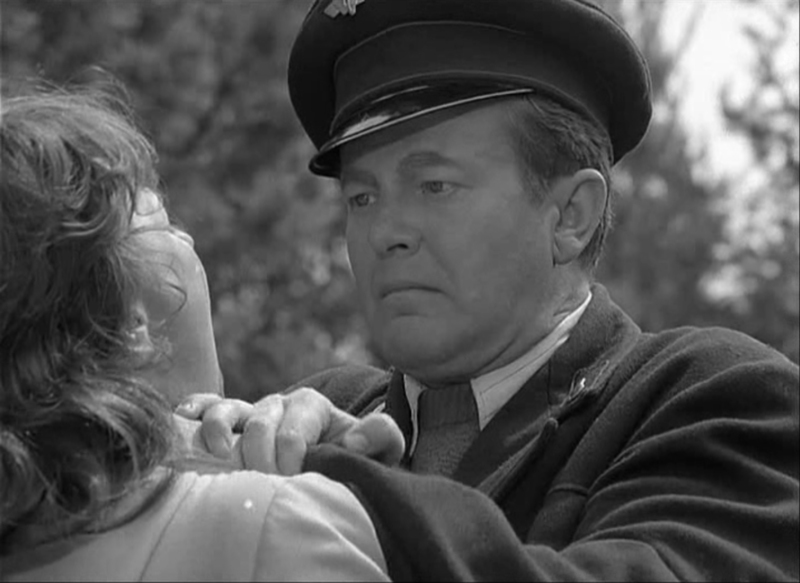 Whenever a DEFA film called for a kind but firm police official, you can bet Kurt Böwe’s name was near the top of the list of possible choices. 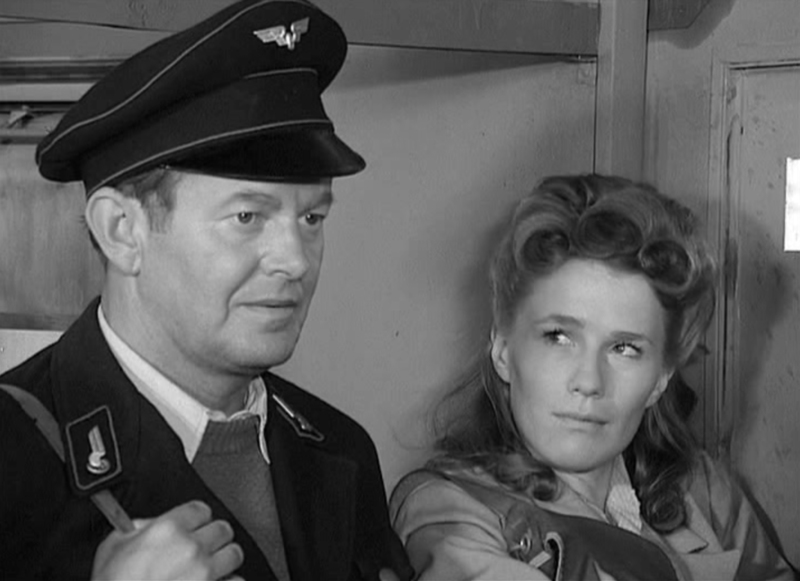 Mr. Böwe came from the stage and began his on-screen acting with television in the sixties. He appeared in smaller roles in various feature films during this period, but it was his role as the idealistic sculptor Herbert Kemmel in Konrad Wolf’s Der nackte Mann auf dem Sportplatz (The Naked Man in the Stadium) that brought him to the public’s attention. From then on he appeared in several more feature films, most notably, Jadup and Boel. Having already been active in television during the GDR years, the Wende had little effect on him. He continued working in television playing Kommissar Kurt Groth on the popular police series Polizeiruf 110. He died in Berlin in 2000. His daughters, Susanne and Winnie have gone on to become successful actors in their own right. It didn’t hurt that the technical crew for this film included cinematographer Claus Neumann, Composer Hans-Dieter Hosalla, and editor, Evelyn Carow—three of DEFA’s most talented technicians in their respective fields. Nor did it hurt that the supporting cast included the talents of Rolf Hoppe, Lissy Tempelhof, Käthe Reichel, and Agnes Kraus. Krimis are always popular with the public and this film is no exception. It is too bad that Helmut Nitzschke’s output is so meager. Had he made more films, perhaps the followers of the auteur approach to film studies might have had something to hang their hat on. Instead he is ignored and is one of the few directors on the German Wikipedia list of DEFA films who has no page of his own. I hope this doesn’t translate into Murder Case Zernik being overlooked. It is an interesting and unusual thriller that deserves more attention. Buy the films (part of a German-only set that includes Razzia and four other films).